You’ll find scores of data points in over 115 data tables. This 82-page report includes data from a survey of three populations of patent information users: major law firms, major companies, and research-oriented universities. How do patent information users view sources such as Chemical Abstracts, Google Patents Search, Westlaw Patents, PatBase and many others? How much is spent annually on patent databases, and how much on patents searches? What are some of the most trusted sources for patent information from China? Or South Korea? Which sources are being used for patent royalty rate information? What training is provided to researchers regarding patent searches? What kind of information related to their patents do patent holders archive? The data in this comprehensive report is broken out by type of institution and the work role of the survey responder: i.e. librarian, technology executives, attorney, patent agent, and more. Only 27.7% of universities in the sample collected information on foreign patents related to their own, while 100% of companies with more than $1 billion in revenues and 55.6% of those with less than $1 billion in revenues collected such information. Law firms in the sample spent a mean of $29,525 and a median of $8,500 respectively on patent searches in 2014. 81% of patent information purchased by organizations in the sample was in digital rather than paper formats. You’ll receive many more detailed findings in more than 115 data tables included in this report! High Quality Data Without the High Cost! 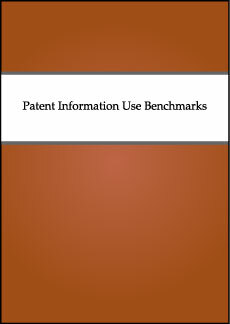 The Patent Information Use Benchmarksis available for the low price of just $119, in print or PDF. You can also make this invaluable resource available to your entire staff with an economically priced site-license purchase – just $225. You can rely on the accuracy of the detailed data, commentary, and analysis provided in this informative report. It was compiled and written by James Moses, President of Primary Research Group. Mr. Moses is the author of hundreds of industry studies and benchmarking reports and is a former economist for the U.S. International Trade Commission. Primary Research Group publishes research reports, surveys and benchmarking studies for businesses, colleges, libraries, law firms, hospitals, museums and other institutions.